The age of ubiquitous connectivity has also been called ‘the age of loss of focus’, with digital tools often forming a big a distraction as they are a tool in research and organization. According to Daniel Goleman, a psychologist and author of Focus: The Hidden Driver of Excellence, “The real message is because attention is under siege more than it has ever been in human history, we have more distractions than ever before, we have to be more focused on cultivating the skills of attention.” Goleman notes the ability to concentrate on a task is infinitely more useful than simply having a high IQ. After all, success in exams and written work often requires intense focus and considerable reading and research - something we cannot complete if we are constantly starting and stopping. Daytime sleepiness and irregular sleeping times are highly common among college students, with 70% failing to attain sufficient sleep. Sleep deprivation has a bevy of negative effects on the ability to think clearly. It negatively affects our mood, ability to focus, and our capacity to access higher-level cognitive functions. College students with exams looming in the near future need to set up a strict bedtime routine which involves sleeping at the same time every night and avoiding both gadget use and stimulants such as coffee in the hours leading up to bedtime. 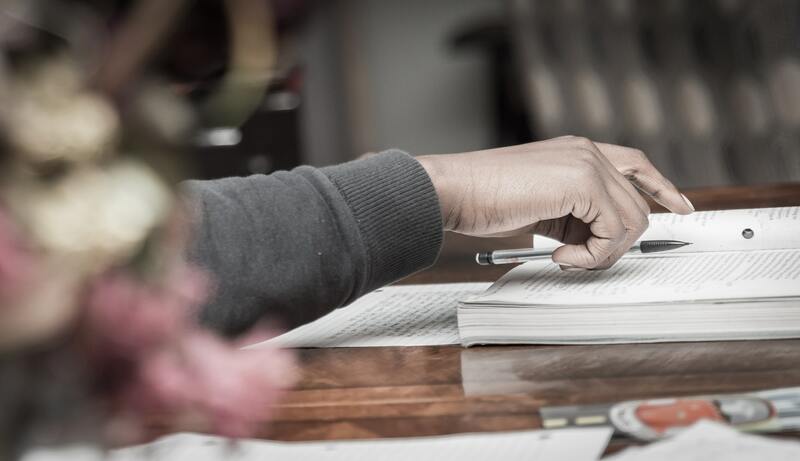 College students not only have to memorise course content, but also remember exam instructions precisely, meaning that honing their working memory is key. Dual N-back is a free online brain training game that has been found to significantly improve the working memory. In essence, it involves remembering visual and auditory sequences. As far as thinking and concentration are concerned, a study presented at the Organization for Human Brain Mapping conference in Chicago showed that common brain training activities such as Sudoku or crossword puzzles reduce one’s susceptibility to distracting stimuli. Although excessive internet leisure browsing may negatively impact worker performance by consuming time that would otherwise be spent performing work-related tasks, the present research suggests positive benefits within reasonable limits." A study by researchers at the University of Pennsylvania found that even small doses of daily meditation can significantly improve focus and performance. Participants who meditated for eight weeks for just 30 minutes showed better executive functioning skills at computer tasks that measured speed and accuracy, than those that didn’t. Researchers concluded that this millenary Eastern practice could serve as an efficient non-medical way to improve cognitive ability and focus. In this post we have mentioned just a few ways to hone concentration but there are many more - including listening to Baroque classical music, chewing gum, and even having plants in your study room. College students should try out a few methods, settling on those which produce the best results for them. Stress reduction and a good night’s sleep should play a role in whichever strategy they choose, to improve mood and overall wellbeing in addition to academic performance.